Originally published in 1986 as Kansas Geological Survey Educational Series 2. Revised and reprinted in 1998. This is, in general, the original text as published. The information has not been updated. An Acrobat PDF version (33 MB) is also available. Cover sketch of a Mississippian outcrop in Cherokee County by Jennifer Sims from a photograph by John Charlton. Photography and printing of photographs by Survey staff photographer John Charlton. 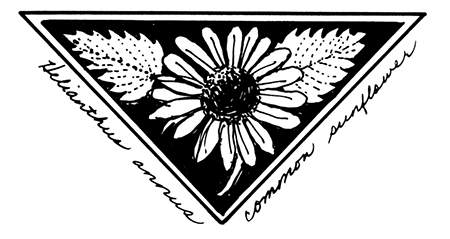 Sketches are by Survey graphic artist Jennifer Sims. They are based on photographs from the book Kansas Impressions: Photographs and Words, by Wes Lyle and James Fisher, © 1972 by the University Press of Kansas. The rocks of Kansas are the basis of our extensive mineral industries; they supply the parent materials for our soils and they contain our important groundwater supplies. In a very real sense, the economic well-being of the state is linked to the materials that are found below the surface. Not only are we economically dependent on our geology, but many Kansans have an intrinsic interest in the state's rocks and minerals. 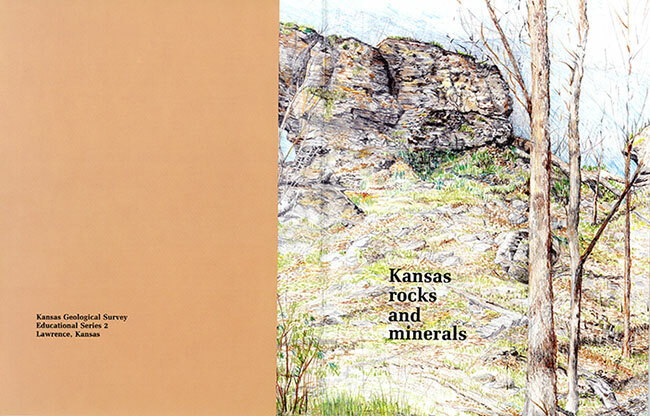 The purpose of this booklet is to summarize, as far as possible in nontechnical terms, the various kinds of rocks and minerals found in Kansas and to describe them so that students, amateur collectors, and other interested persons can identify them. Describing in detail the infinite varieties of each of the rocks and minerals is impossible in a booklet of this size. For specific information, Kansas Geological Survey technical reports (of which there are more than 500) should be consulted. Placed on web Feb. 28, 2017; originally revised and reprinted 1998.